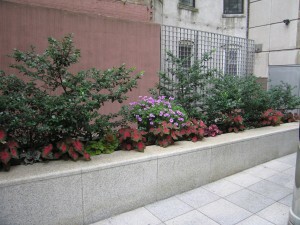 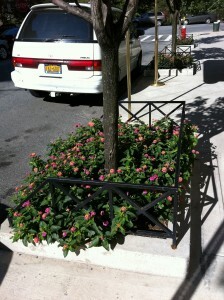 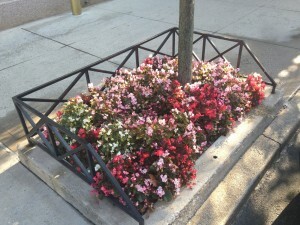 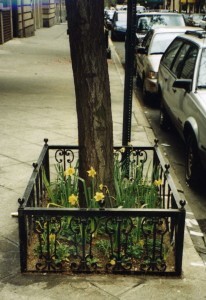 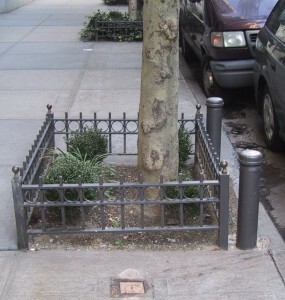 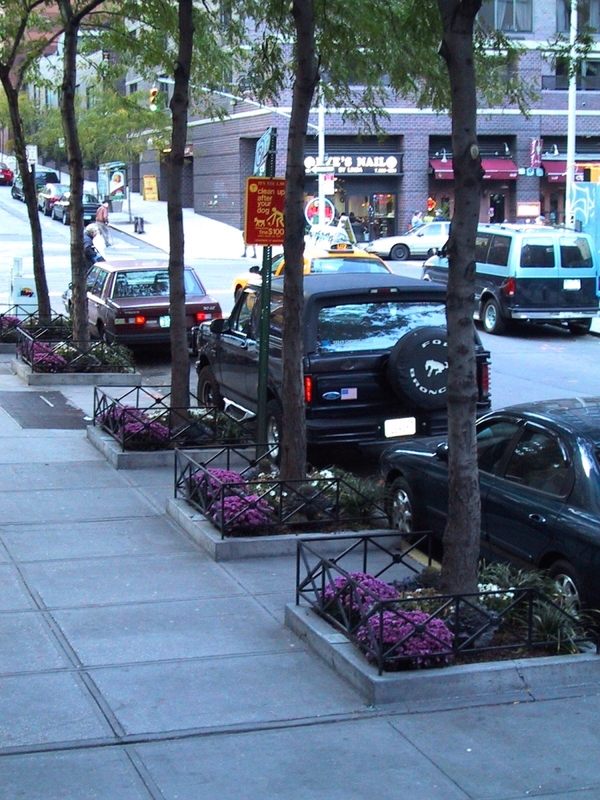 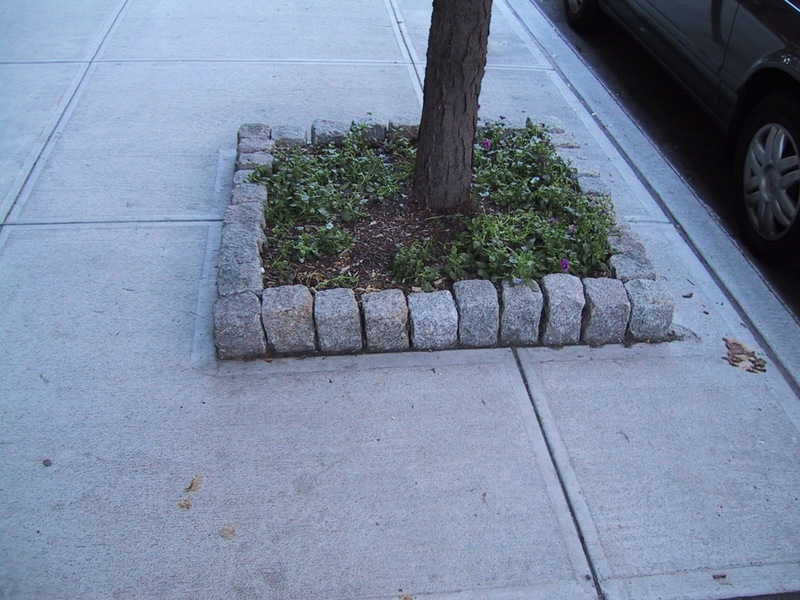 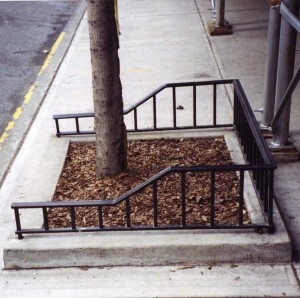 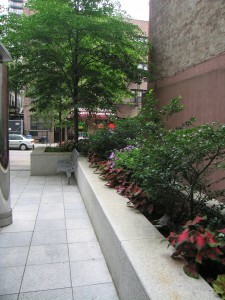 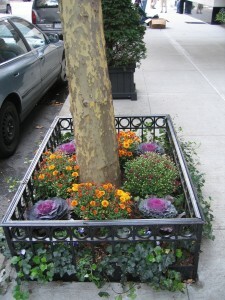 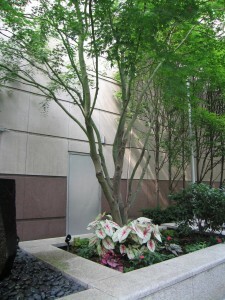 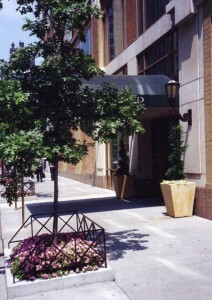 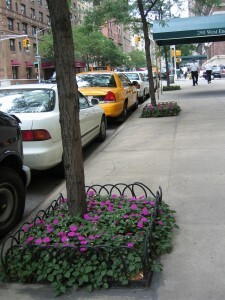 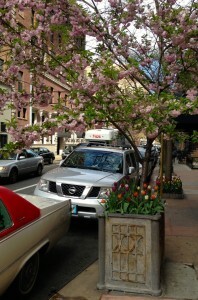 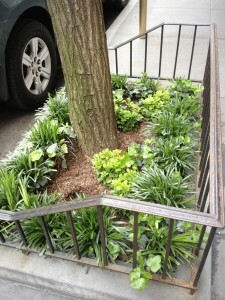 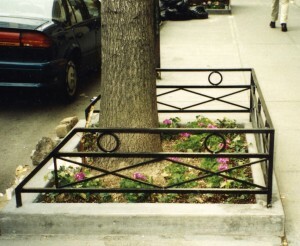 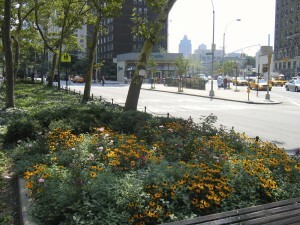 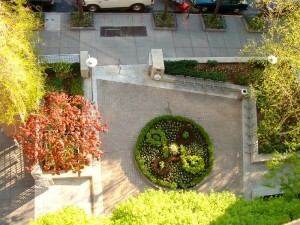 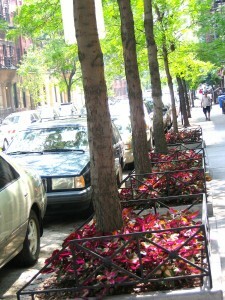 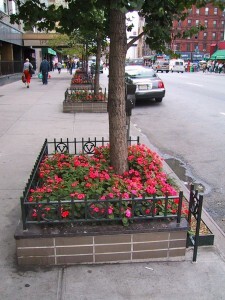 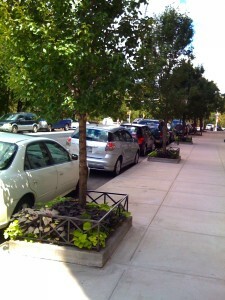 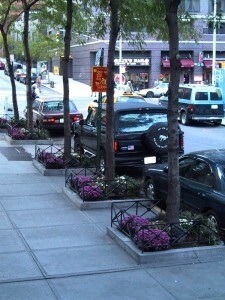 Trees and flowers spotted within sidewalk tree pits take a fair amount of thinking ahead. 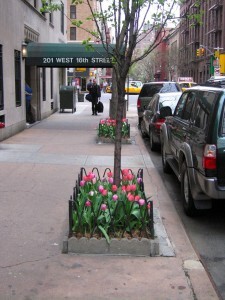 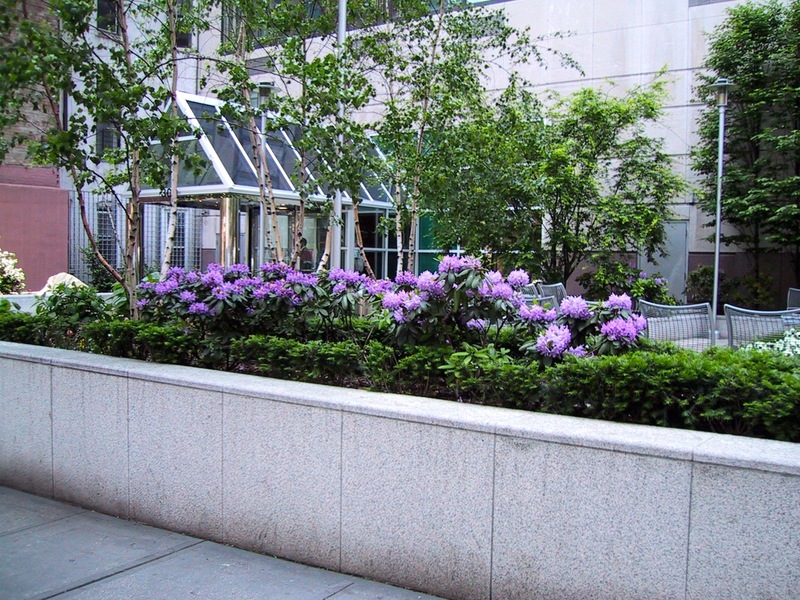 Certain flowers are better able to withstand the tough NYC streets combatting elements as pollution and contaminated soil. 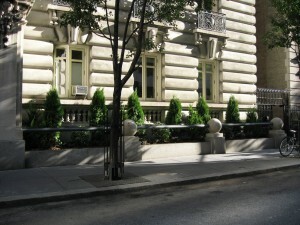 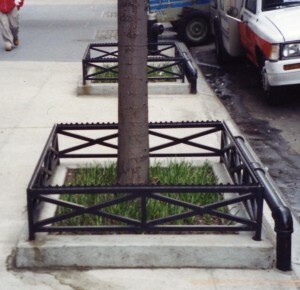 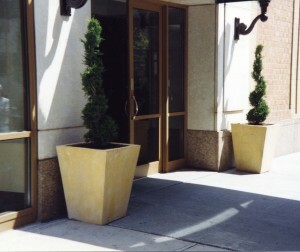 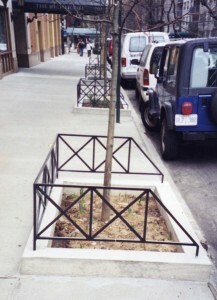 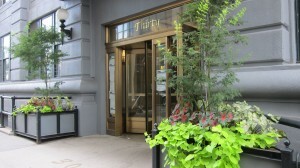 Metal and stone boarders surrounding the tree pits act as guards from swinging car doors, pet walking and general foot traffic. 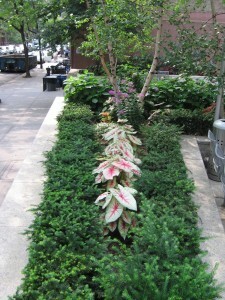 Ideally plant material is changed out from one season to the next. 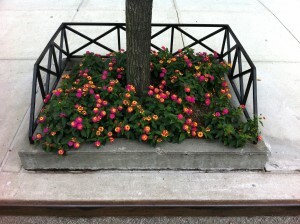 Summer flowers carry through until its time for fall flowers. 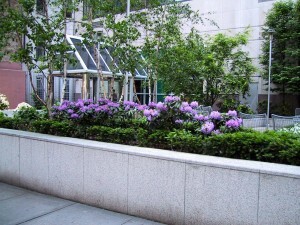 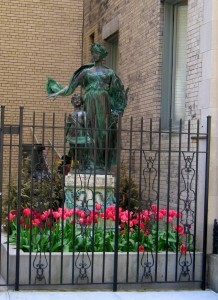 Fall flowers bloom until frost and bulbs are planted towards the end of fall. 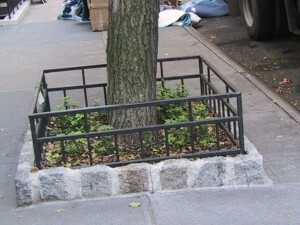 If you’re interested in sprucing things up for the winter months we decorate tree pits with branches from red twig dogwoods and ever greens to keep things interesting until its time for the bulbs to come up.